Yesterday marked Maddie’s 6 week anniversary and she’s doing very well. She does have a slight issue with digesting her milk at night although she seems to have no problem with it during the daytime. 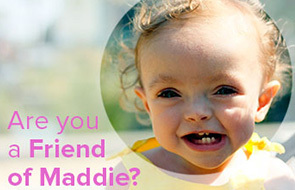 Maddie endeavors to pull out her nasal air and feeding tubes requiring the nurses to put her in a garment that encloses her hands like mittens with no thumbs. They then wrap her in blankets covering her arms all to keep her from pulling out her tubes. Last night she worked her self free of the blankets and pulled her arms completely out of her mitten sleeved top like a little Houdini. Kirk.